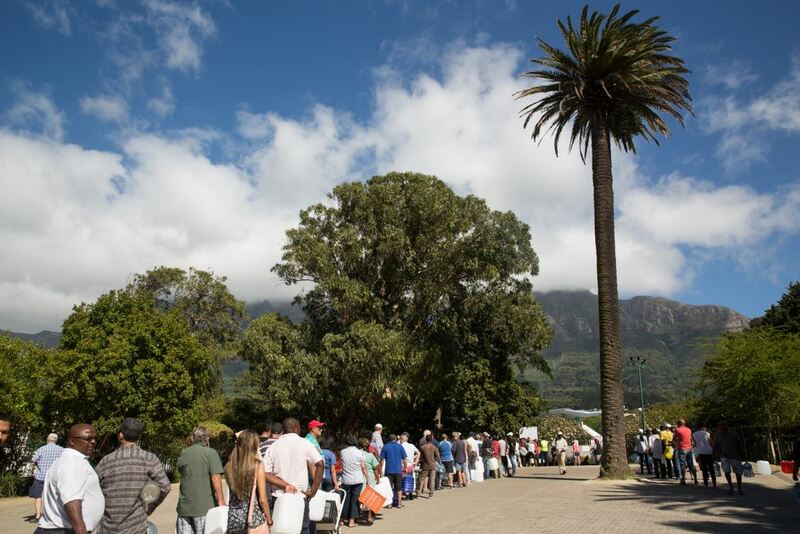 A drought in 2017 brought Cape Town’s water supply to a dangerously low level and started a scare about Day Zero, the day when the city would theoretically run out of water if usage continued to outstrip the water supply. In the face of a water shortage, citizens, city and provincial governments, and the tourism sector rallied and launched a myriad of initiatives to change the ratio of consumption-to-replenishment of water supplies. The success of the initiatives went far beyond expectations. Today, after a combination of hard work and good luck, Cape Town’s water supply is no longer a pressing issue. Unfortunately, the news of the recovery has not traveled as fast as the news of the crisis did, and a city that relies on tourism for 7.5 percent of its GDP is still experiencing a reduction in tourism arrivals because of perceptions surrounding the water shortage of early 2018. “The scare had an impact on South African Airways’ business and on Cape Town because of the coverage in January and February,” said Todd M. Neuman, executive vice president, North America, for South African Airways. Through a variety of water conservation efforts, the city cut its water consumption by more than half, from 1.2 billion liters a day to 550 million liters a day. At the same time, Cape Town experienced a drenching winter (June through August). Civic water restrictions loosened, but most of the conservation measures remain in effect to insure against a repeat of the water crisis. Local hotels joined in the efforts by creating educational programs to inform guests how they could participate in conservation. The guests proved to be happy to participate. Hotels and homes installed new shower heads that decreased the flow of water while maintaining pressure so that the change was barely noticeable to users, but the effect on conservation was significant. Some hotels removed bath plugs to encourage taking showers instead of baths. A new technology from a company called Water-Gen was deployed to pull “water from air.” The system extracts moisture from the atmosphere, similarly to how an air conditioner works but using less energy. It produces drinking water for about 8 cents a gallon. A local campaign that urged residents to reduce water consumption was highly successful. Hotels and homes set up systems for using gray water, filtered water from shower or baths, for watering gardens or for toilet water. Some hotels replanted their gardens with hearty indigenous plants that needed less water but were as beautiful as the plants they replaced. Swimming pools were protected with liquid pool blankets, using a nontoxic solution on the surface that prevents evaporation but does not affect the swimming experience. The Westin Cape Town set up a desalination plant that processes sea water for drinking. The plant uses a three-stage filtration system to remove the salt from sea water by running it through a filter with such small permeations that only a pure water molecule will pass through. The plant provides 400,000 liters of water per day, supplying three hotels, without touching the city’s water supply. It makes the hotel sustainable and off-the-grid so it can operate without impacting the local water supply. “It means that we are still supporting tourism, which is a massive revenue generator for the city,” said Stacy Hopkins, Westin Cape Town’s director of sales. In a time of rising global temperatures and increasing populations, Cape Town became the model for how cities could cope with water shortages in the future. “As a result of remarkable efforts of government and citizens, as well as the tourism industry, this is a phenomenal turnaround in one year,” said African Travel’s Banda. “The city is well on the way to recover from a very severe drought. Unfortunately for a city that relies on tourism as a staple of its economy, the scare has continued to put a damper on tourism. The coverage of the water shortage caused many to stay away because they thought it would be better if there were fewer people using the water. At this point, however, the opposite is true. Cape Town needs tourism for its economic well-being. South Africa is number three on Virtuoso’s top 10 most popular fall season and holiday travel destinations for Americans, based on future bookings for September through December 2018. Beyond this season’s tourism revenues, Cape Town’s triumph over the water shortage has engendered a wave of optimism. “The human spirit has the capability to evoke tremendous change. If we tap into that level of consciousness, we could move mountains. If Cape Town can have this kind of turnaround in such a short period of time, what’s to say we couldn’t do even better … the next time a major city faces the same kind of challenge, because we now have a standard of what good looks like.